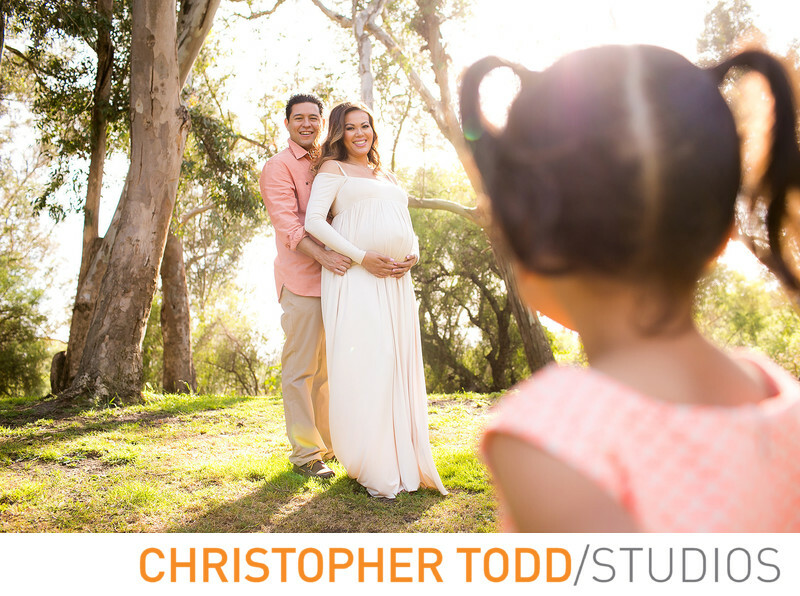 Christopher Todd Studios offers fun, relaxing, intimate, guided, and professional maternity portrait sessions. Choose from a great location in Orange County or Los Angeles. Or come into the studio located near South Coast Plaza just off the 55 freeway. Make your portraits an heirloom that can physically be touched, seen, and passed down to future generations. Keeping your photos digital on your computer or thumb drive does not allow you to see your beautiful images in a finished product. Christopher Todd Studios is one of the few photographers in Orange County that offers professional prints which are printed in house. We don't send the photos off to a lab to get printed. This ensures the highest quality for every print. In Addition to prints we offer custom matted prints and albums. Our albums are all custom made to your specifications and hand made in Italy. One of the newest products we offer is a folio box. These boxes can also be customized to your favorite color or material. They hold up to 50 matted prints that can be displayed on a bookshelf or end table. 1/400; f/3.5; ISO 250; 35.0 mm.